How do you feel about taxes being levied against electric cars, or being considered? Several states in the U.S. are either implementing or considering adding a tax just for electric cars. Proposal is to eliminate the gasoline tax, add a new piece of sales tax, and add a tax on electric cars. Basically - gasoline taxes in the U.S. go to pay for roads and highways. The gasoline tax is a pretty cool method because it's anonymous and the amount collected is directly proportional to use. 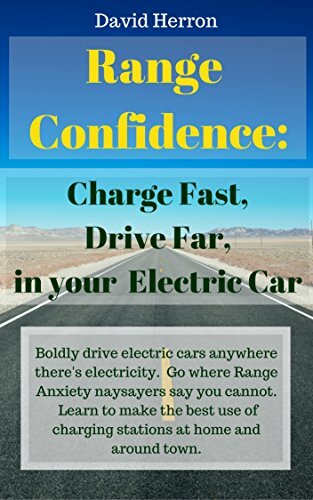 Except the electrified and other high fuel efficiency vehicles undermine the assumptions. Fewer gallons of gasoline used per vehicle mile traveled, hence lower overall tax collected for the same amount of road usage. In the long term governments are going to face a crunch because of this. In fact, the Virginia Governor gave exactly that reasoning in his proposal. But ... as EV drivers, what do we think about this trend? Is this too early in EV adoption to start levying taxes? But if we fend off taxation now, will the people start assuming EV's mean tax-free driving? And that in 10 years the EV drivers will be fighting to preserve their perk of tax-free driving? Some proposals are to put sensors in every car to precisely measure the vehicle miles driven, and then levy a precise tax. Some proposals are a flat yearly fee/tax. Just make it part of vehicle registration. States pay for roads and "most" states operate with a balanced budget required by law. They tax as much as is required to be responsible for their costs. The Federal Government has no budget and spends deficit dollars without any responsibility for it. In the "bigger picture" it's the Federal Government that's killing us, so we should "reward" the "good" which is State Government because it's in most cases doing a better job. They could have vehicle registration fees for all vehicle types which vary by weight. Bigger trucks damage roads more than light ones. You could then have a "discount" for people that drive less if they demonstrate fewer miles on the odometer. It's waaaaaaaaaaaaaaaaaay too early to do this. Wait until EV's represent at least 10% of vehicles registered before doing anything. "The government giveth [Santa Clause & Tooth Fairy], and the government taketh away [Tax Man]. It is not fair when they rob Paul, to pay Paul. It is only fair when they subsidize my light bulbs, my solar panels, my auto, my appliances, my home, and give me a free card to buy food. Now we also expect them to subsidize 240 V AC 3000 Amp charging stations, along our highways, spaced close enough that we can fill up our subsidized electric vehicles with free fuel, before our 1000# dead batteries leave us stranded. When I buy a new car, I would never go ask my neighbors, or my friends, to contribute. Why should I expect Uncle Sugar to steal it from them? "... to power up the charging station is analysed - solar is not the only option here." I am glad that solar is not the only option. I have installed solar panel systems on 2 continents. They have a definite place. The old joke, "How many people does it take to screw in a light bulb?" will become, "How many football fields covered with solar panels does it take to charge one automobile in one hour?" At about 1000 panels per field, that is enough to supply power to ~35 homes -- or charge several Tesla cars per hour, near mid-day. How many more early auto companies would have failed, if they all had designed different fuel spouts, and built proprietary fuel stations along roads? Ford only stations, Chevrolet only stations ... Stanley Steamers may have survived, or perhaps some of the many different electric car companies. In 1910, 78 percent of cars in America were electric or steam. If I let the government help me buy a Tesla, the quick charger would cost me $3600 -- but only be useful at a limited number of roadside Quick Charge 480 V AC stations. Some opt for a Dual Charger = 240V AC at 80 Amps. My house is only supplied wih 240V AC at 60 Amps, but my neighbors all have 200-300 Amp service. Maybe I can park in one of their driveways. After all, it is their tax money that is helping me buy the car. Fair is fair. Solar is good out West where there is sun. Back east the humidity cuts about 30% of the sunlight out and would make the idea unworkable. I live in Nevada now and sunburn is a constant problem. When I was in the midwest I rarely got a sunburn. It really should be about "weight". Heavy vehicles do a higher rate of road damage than lighter ones. Unfortunately EV's are really heavy compared to their more weight efficient gasoline counterparts. So it make sense to tax based on "damage caused" which has weight and distance as parameters. But this would apply to big SUV's as well... and big trucks... you basically should "pay by weight". Though weight is big contributor to road surface degradation, so is the power transferred from the wheels to the road. Testimony to this is the state of stopping lines at older traffic lights or intersections, espcecially 4-way stops and in hot climates, when those lines tend to get "dents" where accelerating wheels push soft tarmac back further and further. So it might be most fair to calculate road tax from a product of vehicle mass times vehicle power. I would suspect the overall effect of Weight combined with Power is exponential in road damage (as you suggest) so you make a good point. Some testing could be done to establish "progressive weight tax tables" that adjust for this. A heavier electric car that has been "torque limited" by design would get a lower tax rate than an unlimited one. Faster gasoline sports cars with bigger power get taxed more. Basically the bigger and more powerful the vehicle the higher the tax. I don't think the math would be that hard to figure out, but it would take a big cultural shift to adjust to a "visible" registration tax as opposed to an "invisible" gasoline tax. People seem happier if they have no clue what is happening to them.